If you break the tooth or accidentally pull the tooth out then here is some advice for your dental emergency. If you have simply chipped the corner of the tooth, and there is no sign of blood or pain then this type of trauma can be easily seen by your dentist during normal working hours. If however you have acute dental pain or you have in fact accidentally lost a tooth then here is some free emergency dental advice for you. 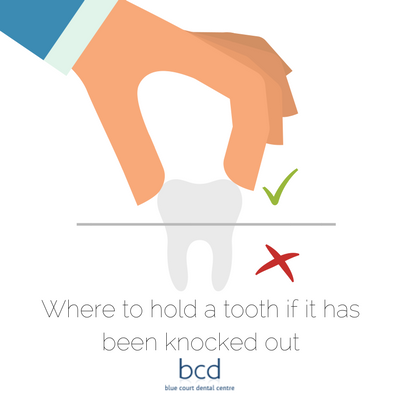 The first thing to remember is that the tooth is a living organism, so please ensure that you always hold the tooth by the Crown (the part that was showing originally) and not by the root. Place the tooth into a clean container full of milk, being careful not to touch the root and handling the whole truth very carefully. Then visit the dentist as soon as you possibly can. If this socket is bleeding, then apply pressure to the bleeding area. You may find this easier if you place some clean material into the patient’s mouth over the top of the whole and ask the patient to bite down on the material. Do not, however, plug the hole with the material. Applying something cold to the patient’s face will also help to reduce swelling and later bruising. If your dental emergency is due to unknown dental pain, and is not because a tooth has come out, then we recommend rinsing your mouth with some warm water simply to keep the area clean. Ensure that you don’t have any food debris caught between your teeth. The only thing you can then do, is to call your local emergency dentist and take a visit. 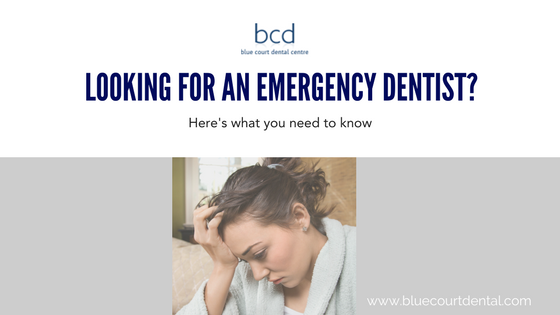 If you happen to be travelling when you have your dental emergency, then either check the local telephone directory or go to a search engine online and search for dental emergencies in the area in which you are located. You should then find a list of dentists that are able to help you out of your dental pain. If you’re dental emergency is severe then we always recommend going to see your local accident and emergency department. Blue Court Dental centre offer a 24-hour emergency dental service for their Harrow patients. If the dental emergency is outside of normal working hours, there are instructions on the practice answerphone for how to deal with your dental emergency and how to contact the emergency dentist at the practice. More information about the emergency dental service can be found here. This entry was posted in Dental Emergencies, Dentistry on 19 August 2012 by Dr Nishan Dixit.